The Waste Trade Company, in partnership with Mpact Recycling were the proud sponsors for the waste management of this year’s ABSA Kirkwood Wildsfees. “Apart from supplying the needed resources to enable the public to recycle[DN1] , we are also passionate about actively educating everybody about the importance of recycling. 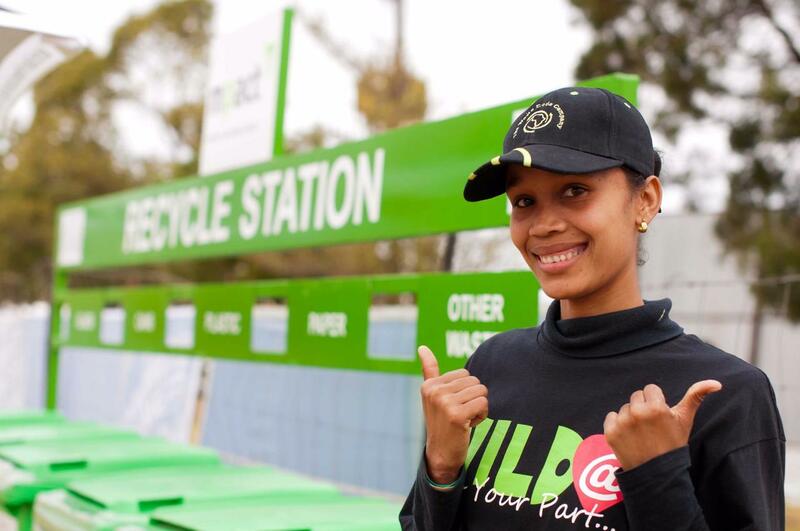 In order to raise awareness we have ensured sufficient visual stimulation – our recycling stations are bright and labelled and our staff all wore branded shirts with the slogan “Wild at Heart, do Your Part”,” says Donna-Mari Noble, Communications Manager from Mpact Recycling. Pupils from the local Kirkwood school, St Colmcille High were all very pleased to be the acting green ambassadors for TWTC and Mpact Recycling at this year’s ABSA Kirkwood Wildsfees. The early morning cold did not scare this motivated group, who were all seen cleaning the festival grounds before 08h00 every morning. “The pupils really displayed outstanding teamwork and worked very hard. They would continuously encourage each other and overall had positive energy, and looked extremely professional in their branded shirts” says Vicky du Toit, Schools Project Manager at The Waste Trade Company. Twenty branded recycling stations, 100 co-branded wheelie bins, approximately 350 smaller bins, 6 000 plastic bags for the separation of the recyclable’s, the co-branded banner wall and 50 000 educational brochures were supplied by Mpact Recycling. “We have ensured that we have sufficient operations staff on the grounds for the duration of the festival, as well as staff in the central waste area. Our green ambassadors are acting as our promotional staff, and it is a pleasure for us to be able to expose these pupils to the working environment,” says Kay Hardy, general manager of The Waste Trade Company. St Colmcille’s pupils all underwent a training session before the festival, to teach them about the importance of recycling as well as the basics of customer service. 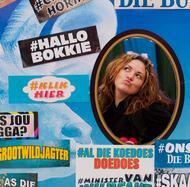 As such, anybody at the festival with questions about recycling could ask any of the ambassadors. The school has promised to further pursue recycling as an extracurricular for their enviro-club and will be booking an assembly talk with TWTC in the new term to get the remainder of the pupils motivated. Festival Director Jenni Honsbein was very pleased with the general outcome of the waste management and referred to all involved as “The Dream Clean Team”, further thanking TWTC and Mpact Recycling in their efforts toward making the festival grounds the cleanest ever.